Ever since the completion of the human genome over a decade ago, scientists have been struggling to understand some of its counter-intuitive findings. One of these was the realisation that humans – with our trillions of cells, hundreds of cell types and extraordinarily complex anatomy, physiology and behaviour – contain pretty much the same number of genes as a tiny and simple worm. The genes are not only similar in number between the two species, but encode very similar proteins. Another astonishing discovery is that around 98% of the human genome doesn’t code for proteins at all. So why do humans contain so much of this type of DNA, which until very recently had been dismissed as “junk”? 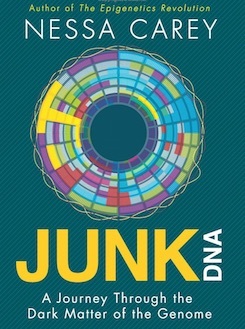 Junk: A Journey Through the Dark Matter of the Genome explores the exciting new developments in our understanding of human DNA. It lays out the latest science that shows how the so-called junk DNA is in reality highly functional, but operates in a completely different way from the traditional genes. This previously neglected 98% of our genome may hold the answers to a remarkable range of questions, from the reasons why humans are so complex, to the mechanisms of ageing, and even new ways to treat devastating human diseases. "The term "junk DNA" is fast becoming a misnomer as researchers highlight the strange and unexpected roles it can play in everything from hard-to-treat diseases to gene expression. Some are even asking if this genomic "nonsense" could be the source of human biological complexity. Nessa Carey will deserve plaudits if she does as good a job in helping to explain the controversies in this field as she did about the equally hot topic of epigenetics." "A cutting-edge, exhaustive guide to the rapidly changing, ever-more mysterious genome." "...a cutting-edge, exhaustive guide to the rapidly changing, ever-more mysterious genome. " "In chronicling what we know and what we wonder about junk DNA, biologist Carey makes an apt comparison to dark matter. Just as the universe appears to contain mass that we cannot see or understand and yet nonetheless exerts a pull on normal matter, the mysterious parts of our genome have a vital effect on the workings of more straightforward elements of DNA. In fact, far from being useless, genetic rubbish may be what differentiates humans from less advanced species." World rights in Nessa Carey’s Gene Editing have been sold to Icon. Turkish rights in Nessa Carey’s Junk. Chinese rights in Lawrence James Raj: The Making and Unmaking of British Empire. Polish rights in Casey Watson’s Nowhere to Go. 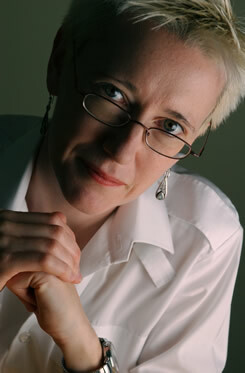 Nessa Carey’s Junk: A Journey Through the Dark Matter of the Genome in Korea. Patrick Dillon’s Story of Buildings in Russia. Hitler’s Forgotten Children by Ingrid von Oelhafen and Tim Tate in Romania. Agency science writers Nessa Carey & Chris Woodford will be talking at the Lichfield Festival on 6th July on their recent books Junk: A Journey Through the Dark Matter of the Genome and Atoms Under the Floorboards: The Secret Science Hidden in Your Home.